Notice anything odd about the screenshot above? Anything missing? Where did our friend the DROID Incredible sneak off to. 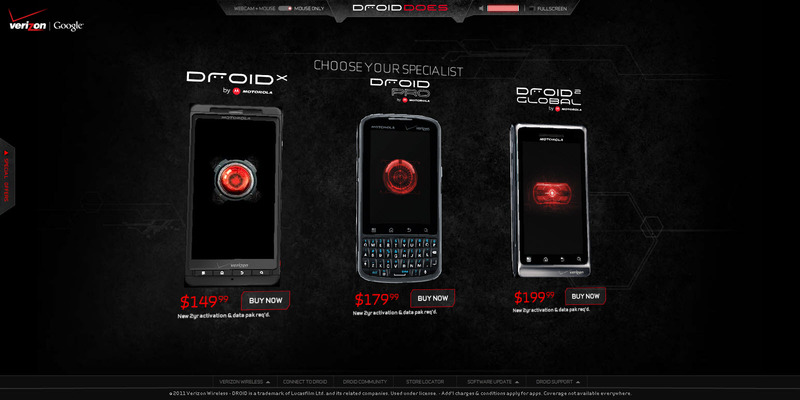 We know he’s still hovering around Verizon’s main site with the discounted price of $99, but why has he been removed from DroidDoes.com? Normally we would just think that VZW was performing some sort of maintenance to the site, except that all of the Incredible-specific sub-pages also appear to be dead (like this one). This is going to be the biggest stretching idea on the planet and I’m admitting that up front, but could this possibly have something to do with the Incredible 2? We know that the Incredible S is already on sale, way ahead of an initially scheduled launch over in Europe and is basically the same device, so what if the Inc2 is also ready? The phone is definitely in the hands of testers as images of the phone came out over the weekend looking as polished as ever. Again, I know this is a stretch, but we did hear back in January that it could be available in March. Any chance in hell that Verizon releases the Inc2 anywhere near the Thunderbolt? Update: We are hearing that it could be gone for good. Device may have landed on the EOL (End of Life) list. If that’s truly the case, then R.I.P. DI. It will be tough for anyone to match your awesomeness.